Corporate wellness technology (aka wellness portals) can be an invaluable tool wellness companies use to efficiently deliver corporate wellness programs to client organizations. If you don't pick just the right technology for your unique needs, it can be an uphill battle - and an expensive venture! 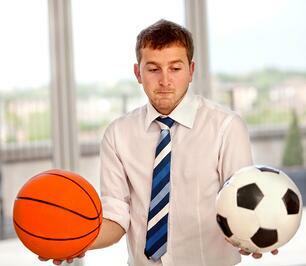 Many wellness companies aren't aware that there ARE two types of technology providers. As the wellness industry and related technology continues to evolve, there have been an increase in new software options which is helpful to those shopping for new software; however, it can be confusing to navigate the market. This is where technology-only vendors (like CoreHealth) fits. To our knowledge, only a very few (if any) other wellness portal providers are developed and designed by technology-only vendors. Technology-only providers focus on just technology exclusively - they do not provide corporate wellness programs or services. Competive Insight - If you are a wellness provider, then how would you feel about all your fantastic corporate wellness solutions, programs and ideas in a competitor's platform? That's often the case if your wellness software vendor also provides wellness services. (More about this under Type 2). Technology-only providers are only interested in giving providers the tools necessary to deliver the most innovative wellness programs possible so ideas and programs are safe and secure. Lead Referrals - while we can't speak for other technology-only vendors, we frequently refer RFPs and prospective organizations to our customers (who are re-sellers of our platform) as many of the incoming inquiries are for services as well. It's in everyone's best interest that the client has all the technology and services they need to be successful with their corporate wellness programs. Constantly Evolving - Technology-only providers live, eat and breathe technology and are constantly evolving to meet the needs of customers. Technology is so fast changing, it's essential to work with a vendor that can keep pace. As an example, CoreHealth provides a minimum of three software releases per year - not all portal vendors do. Customers are very excited about our latest release featuring the Wellness Compass that enables employees to tailor a personalized health journey - unlike anything available in today's marketplace. Platform vs. Application - Unlike an application, CoreHealth's technology is a full platform (like Salesforce's CRM platform but for wellness) which gives you a lot more flexiblity to integrate and tailor the portal to best suit each and every one of your client's needs. Read our blog to better understand the important differences between a platform vs. application. Integrations - technology-geeks love making technology cool, fun, easier, better and faster - it's genetically programmed in our DNA. Integrating with third-party software can be tricky (and costly) but it's invaluable for clients to be able to see a holistic view of data to analyze results and adjust accordingly for the future. Technology-only vendors tend to be experts at single sign-on (SSO), integrations and customizations (if you want to go really deep with customizations). Languages - technology-only vendors can focus on adapting their platform to suit different cultures and languages with ease enabling wellness companies the flexibility to easily expand their service offerings to global markets. All-in-One and Fun - as mentioned previously in integrations, technology-only vendors love making technology better. Many corporate wellness portals offer some functionality but few do all and 'geek out' with gamification, social networking, executive dashboards and so on. As an example, we offer health assessments, biometric management, education, wellness challenges, self-help programs, social networking, coach facilitation, content management, incentives, surveys, conversations — and more. Not all vendors can do it all. One-Stop-Shop - If you are looking for full-service wellness portal and wellness services, then a technology-only vendor may not be the best fit. Some organizations are looking for a one-stop wellness solutions provider so convenience may trump other requirements. Overwhelming Functionality - Portals developed by technology-only vendors tend to deliver state of the art features and, depending on your in-house expertise, some organizations may find it's more than they bargained for at first. But, with excellent implementation and customer support, it doesn't have to be overwhelming. At least you know that there is room for you to grow into the system vs. hitting the limits sooner rather than later and then having to transition to a new software within a year or two. Workplace wellness is a constantly changing industry and organizations have far more technology options than they ever did before. 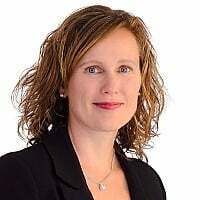 There are some reputable wellness service providers that have developed their own application in the absence of finding a market-ready software that would meet their needs. So, depending on how their wellness software came to be (was technology the chicken or the egg? ), it's helpful to understand if the providers' 'core business' is wellness services or their wellness portal. One-Stop-Shop - for organizations that are looking for wellness services that include onsite fitness or wellness resources and just want to call one person for everything, then a portal via a service provider may be the best option. Limited Requirements - if wellness services are top priority with the technology being secondary, then a services provider's portal may be the better fit. Technology - if you seek constantly changing technology, multi-lingual or global capabilities, then technology developed by a wellness services provider may not be the best fit. Hit the Limits Sooner - depending on the software and as you grow your business, you may hit the limits of functionality and flexibility sooner than preferred. No Lead Referrals - if you are a wellness provider, then you won't likely receive leads from your technology provider if they provide services too. As you start researching vendors, an essential part of the due diligence process is to determine your requirements and prioritize accordingly so you aren't distracted by the flashy bells and whistles of each vendor to later discover that the key features you were looking for, don't actually exist. 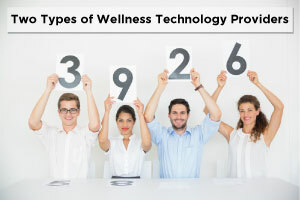 To help you with this process, download the wellness technology requirements checklist. Another helpful resource: 10 Signs It's Time to Switch Wellness Your Wellness Portal. WellSteps list of Top 25 Corporate Wellness Companies 2017. Looking for a Technology-Only Vendor? As one of the few (and potentially only) technology-only vendors on the market today, CoreHealth would love to demo our all-in-one corporate wellness platform. If after you see a CoreHealth demo and feel it's more than you can handle (because there are SO many features and options to choose from), we would be happy to refer you to one of our many customers that re-sell our wellness technology AND deliver wellness solutions and services.